Plug into one of these workstation rigs, and you’ll have complete control over a studio full of effects, amps, cabs, and creative tools. Scuffham S- Gear State of the Art Software Amplification -a collection of guitar amps, speaker cabinets and effects. The sound of a boutique tube amp turned up really loud and mic’d in a suitable space. Native Instruments Guitar Rig 5 virtual effects and amps. Effects include chorus, distortion, wah, and compression. Amps like vintage Fender, Vox, Marshall, Ampeg, and more current models like Orange Crate, Hi-Watt, are all in a rack you set up and control with a simple footswitch pedal board. Line 6 FBV Express MKII guitar footswitch pedal board -total control of Native Instruments Guitar Rig 5 with volume and wah pedal, program and effects switches. 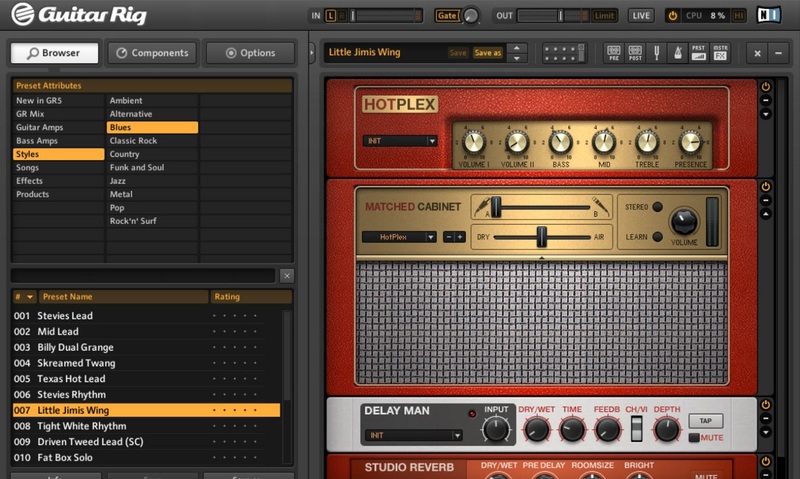 Custom Computer Host Control where you select and customize the setup for your particular tone and effects. POWERPLAY P16 system provides an easy way to give recording musicians/vocalists what they really want – “more me!” P16s are conveniently distributed throughout the studio. They let each performer take control of his/her own monitor mix. The P16 makes it easy to dial-in your personal monitor mix while recording. 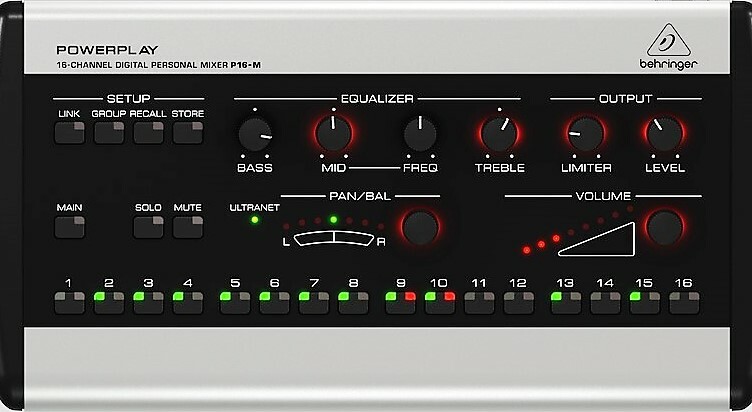 You can not only adjust the Volume for each of 16 input signals, but also set the Pan (left to right mix), EQ (Bass, Mid with sweepable Freq control and Treble) – and much more. And the best part, these adjustments can all be made without affecting anyone else’s personal mix. You’ll probably want to use your own guitar, but take a look at the additional options when playing our Epiphone SG with Triple Play. The benefits may just surprise you! 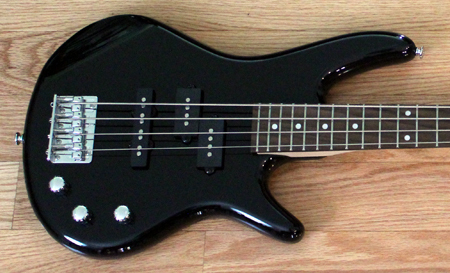 This is a fun little bass for those of us who play guitar but don’t often play bass, the scale of this instrument is that of a guitar so it’s a bit easier to navigate than the standard bass. Real bass players will want to bring their own instrument, but for the rest of us, this might be of interest. 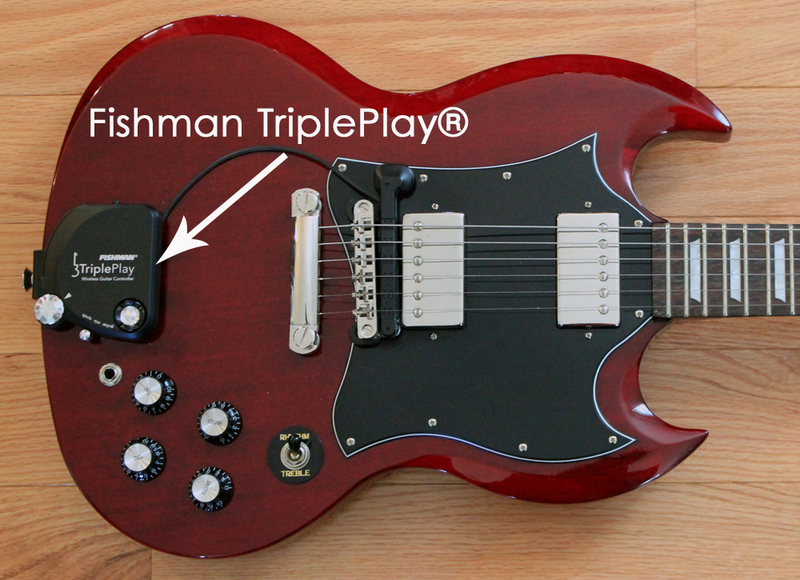 The G Pro 400 is equipped with the Fishman TriplePlay Wireless Guitar Controller. TriplePlay provides guitarists access to our vast library of virtual instruments and sounds without having to play keyboards– all with the freedom of wireless control. Take full advantage of the powerful features with the Pro 400 guitar! 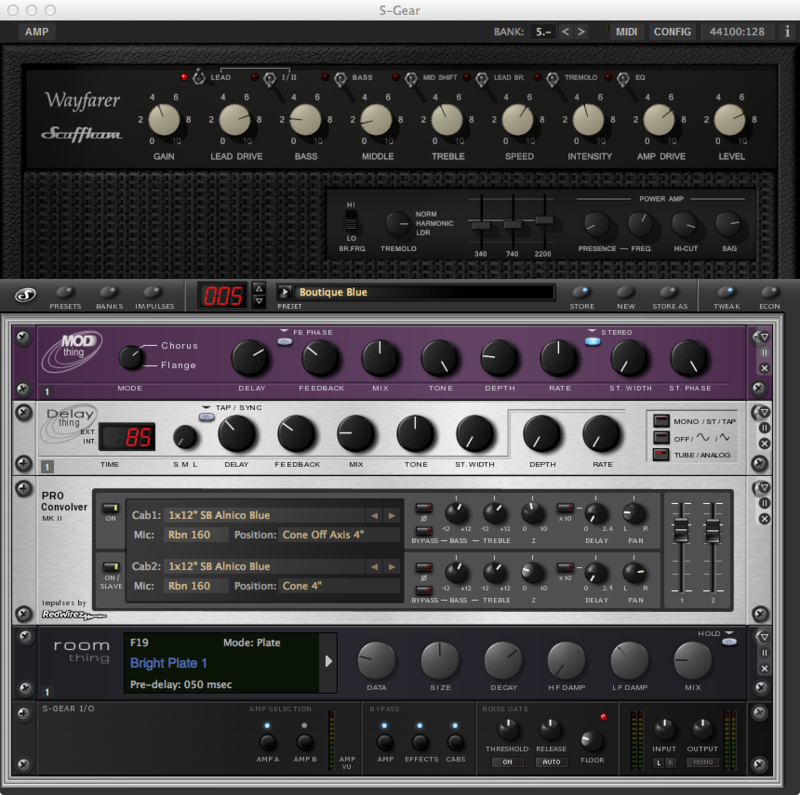 Combine virtual instruments and Native Instruments Guitar Rig 5. Visit the studio and check out the guitar setup at no charge or obligation. We encourage you to take the time to explore the possibilities. It may just change your approach to a project or song.